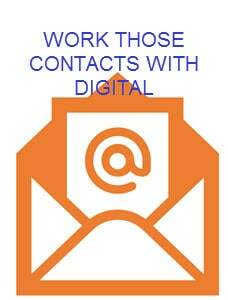 At it’s heart, email marketing is a ‘conversation’ between two people – you and the recipient receiving the message. The fact that you’ve sent it to 1,000 people at the same time is largely irrelevant because it’s an individual that opens the email, reads and (hopefully) digests the content and takes action. If you don’t speak to the individual then you can’t hope to make progress with your email marketing campaigns. It was with this in mind that the presentation at the Dorset Women go Digital conference was created. Measure the results, rinse and repeat. It’s only by measuring the results that we can determine what people want to find out more about, what they like and won’t they don’t. If you’d like a quick introduction to email marketing you can download the presentation’s accompanying guide to email marketing.